This small kitchen was cut off from the rest of the house, accessible to the dining room through one small doorway, and with difficult access to a terrace behind the house. The floor plan was reworked to remove most of the wall between the kitchen and dining room with a new 10-foot-wide opening; a 10-foot bump out was created at the opposite end of the kitchen with new French doors to the garden. Now there are open sight lines from the dining room all the way through the kitchen. A new oak island with seating anchors the kitchen space and echoes the carved oak woodwork of the antique dining room table. 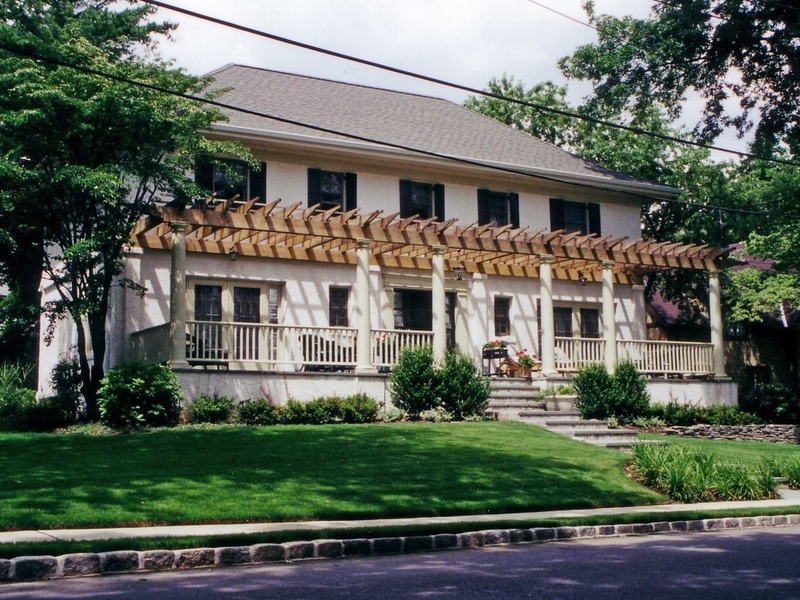 A renovation of the garden of this house, restoration of its exterior, and construction of a new screened porch brought this neglected Arts & Crafts style house back to life. The exterior restoration included a new paint color scheme with “Indian Red” window sashes, a subtle new beige stucco color and replacement of the damaged cedar shingles. The new porch in the backyard opened up the house to the garden. The gardens—front and back—were planted out with ever-blooming roses, hydrangeas, and other plantings that provide continuous blooming throughout the seasons. In the backyard, family life now centers on a circular stone terrace with a fire pit that extends use of the garden through the shoulder seasons in spring and fall. This mid-19th century house, a victim of serial renovations, was cut up into a rabbit warren of five apartments. We restored and renovated it to accommodate three luxury units and to blend in harmoniously with its single-family neighbors. A rusty and dangerous fire escape was removed and replaced with a hidden sprinkler system. The exterior was fully restored, a new rear stone terrace was designed to take in the views of Long Island Sound and a new two-car garage was added. 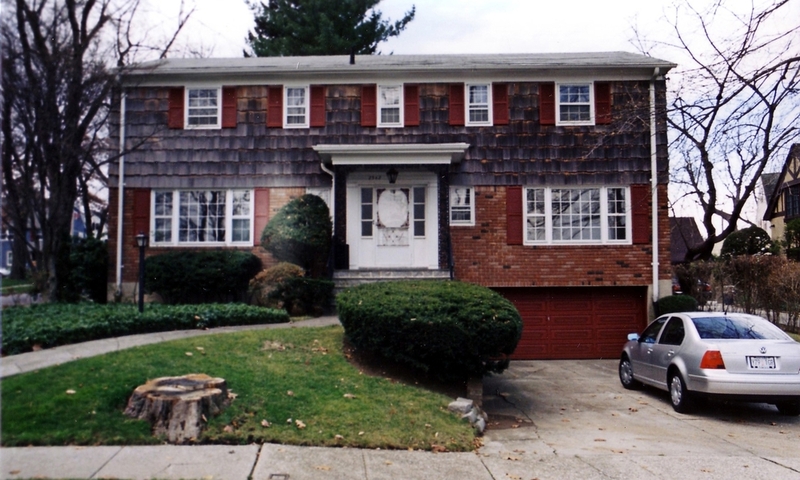 This 1960s era speculative builder’s house was typical of its time—a generic mix of exterior materials, with a below grade garage and no specific style. The house had no relation to the spectacular site it was built on, facing a tidal cove on Long Island Sound, or to the historic neighborhood around it. The exterior was transformed by removing the existing shallow pitched roof and building a new hipped roof, creating new window openings to capture views of the water, and cladding the house in traditional stucco to blend in with it’s historic neighbors. A new freestanding garage was created behind the house, so that a wide terrace with a pergola could be created at the front to take in views of the cove, with new French doors that open on to it.